Closing out the weekend with a day of performance, art, music, food and celebration, Basilica SoundScape’s Sunday activities are FREE and open to all. From the experimental, multidisciplinary performance of The Triptych to community radio station WGXC’s Record Fair, Basilica SoundScape’s Sunday invites SoundScape attendees to sample a section of Hudson’s creative and cultural community. Music, readings, performance, prayer, peace. Hosted by Hudson-based artist Shanekia McIntosh. With performances by Martine Gutierrez, Zeelie Brown, Davon, Lady Moon, Joey De Jesus, Bibbe Hansen and B Taylor. 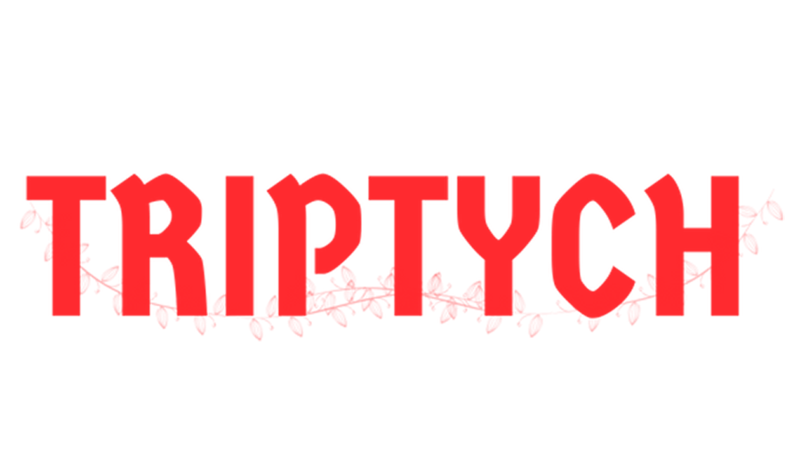 See full lineup and event details at The Triptych event page. What mystical potencies does ritual performance evoke of the triptychal formation? TRIPTYCH stages a triangulation at, or toward— From three nodes, of bodies (material, sound, organic and other) that speaks to the very concept of ritual. The day of performances organizes around three nodes (shrine, movement, and plenum) crafting a conceptual constellation of sacred geometry across performances throughout the day. As a form, the triptych offers reliefs carved on three panels, three speculations imagined into image. How might recuperating a livable planet demand a re-imagination of performances of mysticism? TRIPTYCH moves beyond, approximating at a collective truth through collaborative performance. The stage is a shrine. If the universe—the turning into one—is a lie, and all of space is full, constituted by dark matter, how do things move across space? Wave Farm’s WGXC 90.7-FM presents the WGXC Record Fair in partnership with Basilica Hudson. Vendors from across the northeast gather in Basilica’s Main Hall to sell vinyl, CDs, cassette tapes, DVDs, plus books, musical equipment and instruments, and radio-related ephemera. The plentiful WGXC tables are a digger’s dream, with a variety of affordably priced records in all genres. 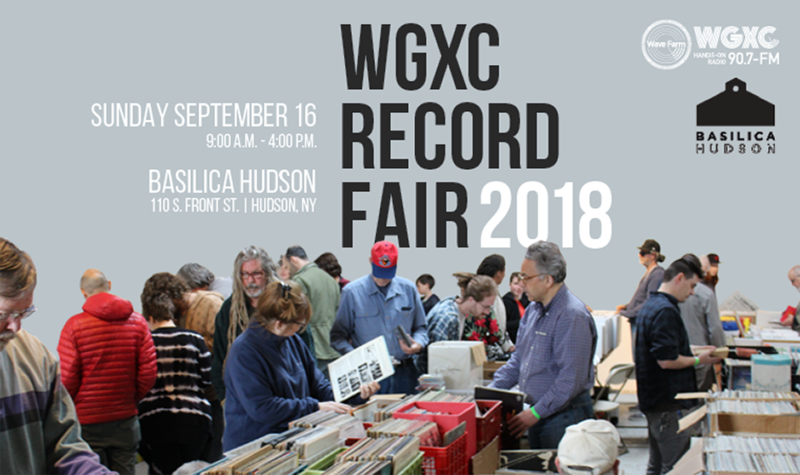 The WGXC Record Fair coincides with Basilica SoundScape (Sept 14-16), an immersive, innovative weekend of art, music, and culture, which draws an audience in the thousands. Conceptual sound performances, author readings, installations, collaborations, curated local vendors and artisans, and on-site activities. Info at basilicahudson.org/soundscape. The WGXC Record Fair Committee is a volunteer committee which supports the WGXC Record Fair. The 2018 members are: Frederick Arnold, Alex Benson, Chris Bishop, Rudy Mungaray, and Michael Wilde. If you’re interested in getting involved, email recordfair@wgxc.org. Admission & table fees benefit creative community radio station WGXC 90.7-FM. 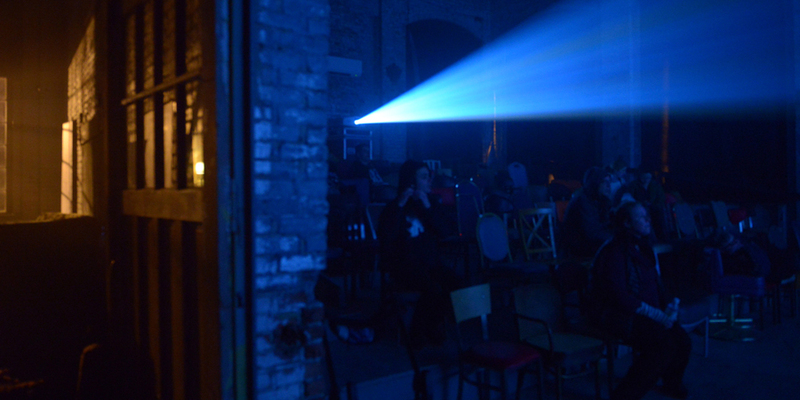 WHY should all residents care about whether artists have a space to practice? HOW can such a space benefit the wider community? WHAT can Basilica Hudson do to ensure that our space is useful to the community at large? Join us as part of SoundScape FREE Sunday as Basilica Hudson Director and Co-Founder Melissa Auf der Maur joins journalists Liz Pelly and Jenn Pelly and Hudson-based artist and Kite’s Nest instructor Ngonda Badila (Lady Moon) in an open community conversation on the growing importance of preserving spaces for underground arts and artists. Free and open to all. More information.